In July 2018, the Jewish Chronicle identified ‘fundamental questions which must now be urgently asked’ in light of what it termed the ‘potentially seismic change’ in relations between British Jews and Israel. The editorial cited as examples the open letter signed by 100 leaders and graduates of mainstream left-wing Zionist movements, asserting that ‘ending the occupation … is a principle of our Zionism’ and the group of young British Jews who said ‘Kaddish for Gaza’ in Parliament Square. The Fathom editors believe that the journal can provide a useful platform for this ongoing debate. The ethos of Fathom is to provide a space for writers with very different views to make their case and stimulate further debate. In light of this, we invited contributors from a variety of backgrounds to assess if there is indeed a ‘potentially seismic change’ in the way British Jews feel about Israel and the manner in which they discuss Israel. We asked if there is a ‘centre ground’ for British Jews on Israel; what forms of criticism of and engagement with Israel are acceptable and effective; and if British Jews have a responsibility to avoid helping those who wish to demonise Israel. Our list of writers is not intended to be exhaustive, and though our contributors represent a range of views we do not claim to have represented all views. What we do hope is that those interested in this debate will read each essay carefully in order that they can better understand those with views very different from their own. Relating to developments in the British Jewish Community, Mick Davis, the Former Chairman of the Jewish Leadership Council, argues that the current communal discourse is ‘now so polarised, vicious and impoverished that it constitutes a long-term existential threat to the community’ and that ‘many young Jews today across the Diaspora are confronting a dichotomy between their own (Jewish) values and the rhetoric and actions out of Israel. The result is alienation and if this continues or worsens then we face a fracturing of the Jewish People’. Rabbi Laura Janner-Klausner, Senior Rabbi to Reform Judaism, emphasises the importance of engaging with younger members of the community who, while possessing ‘a perspective which is relevant and important’ are ‘increasingly wondering whether there is a place for them in this discussion’ and who are routinely ‘belittled, patronised and even verbally abused for expressing their views’. Robin Moss, UJIA Director of Strategy (writing in a personal capacity), sets out how as the ‘Millennial’ generation takes on increasing positions of leadership within British Jewry, we see both seismic change and remarkable continuity. He points that on the one hand, young British Jews are overwhelmingly visiting Israel more often and ‘Israeli culture – food, TV, films, celebrities – is increasingly normalised within British and British-Jewish society’. Yet on the other hand, ‘many younger people want to replace and revolutionise – rather than repair – Jewish communal organisations’. The contributors also presented a spectrum of views about effective engagement with and criticism of Israel. Hannah Weisfeld and Maya Ilany, Director and Deputy Director of Yachad, discuss the importance of demonstrating that being pro-Israel does not automatically mean supporting government policy and that ‘it is because we are willing to criticise the occupation and anti-liberal trends in Israel, as opposed to ignoring them, that we are able to win the argument in favour of Israel’. Simon Gordon, who served as speechwriter to both Israeli Ambassador Daniel Taub and Douglas Carswell MP, believes that ‘if Jewish groups feel they must take issue with the Israeli government, they should at least do it behind closed doors,’ adding that ‘if the government is really their intended audience, writing to the Israeli Ambassador privately should serve the same purpose as issuing a press release or saying kaddish in Parliament Square’. Tamara Berens, former President of Kings College Israel Society and a Campus Associate with CAMERA on Campus (writing in a personal capacity), believes that while ‘engagement with Israel on issues pertaining to Israeli society and/or religious freedoms and treatment of non-Orthodox Jews is a legitimate area for critique,’ she thinks that ‘those who have not served in the IDF cannot claim to have the insight or tangible experience necessary to comprehend the security challenges the state faces’. Dr Toby Greene, Fathom Contributory Editor and co-author of ‘The Israelization of British Jewry: Between Home and Homeland,’ believes that British Jews often have to walk a fine line. ‘Jews who care about liberal values need, as far as possible, to oppose the entrenchment of the occupation as if there is no anti-Zionism and oppose anti-Zionism as if there is no entrenchment of the occupation.’ He suggests that the right to engage critically comes with some provisos, which include a deep and irrefutable commitment to Israel as the nation state of the Jewish people, a sensitivity to finding the most appropriate partners in Israel, grasping the real concerns and feelings of the Israeli mainstream, and engaging in genuine dialogue with those parts of Israeli society with which one disagrees. 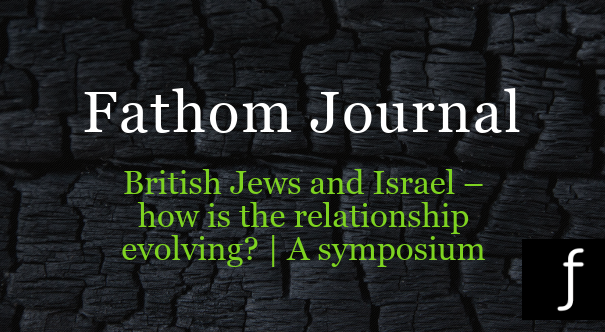 Fathom sees these contributions as part of what needs to be an ongoing discussion within Anglo-Jewry and between Israelis and Jews in the Diaspora as a whole. We hope the readers find the contributions of interest and we welcome any written responses to the arguments published here. It appears that the evolving antagonism between “liberal” Jews and Zionists and conservative Jews reflects the dissonance between reality (realpolitik) and armchair philosophy. A Palestinian state will not eliminate Palestinian hatred nor will it convince them that our land is not theirs. Decades of propaganda and historical revisionism cannot be reversed by the creation of a state called Palestine. History, despite the current avant garde globalism or internationalism, sides with the old aphorism that good fences make good neighbors. Statehood will not eliminate racism or violence. Clearly, the German illustration is sufficient to challenge the liberal notion that the answer is a Palestinian state. Having followed Israel’s development since 1948, (I am now 86), I am aware of the polarisation in Anglo-Jewry. I do not believe it is caused primarily by a dislike of Mr. Netanyahu’s government, although this is widespread, and often irrational. I would attribute it more to three factors, outside Israel’s remit. 1. An overwhelmingly critical or hostile stance against Israel in most of the British media. The BBC is probably the worst offender, (although the World Service is currently showing signs of more balance), but the Guardian, the I and the Independent are almost always hostile, and ‘the usual suspects’ on Twitter, Facebook, etc. have much to answer for, as they have much greater audience among the young and impressionable. 2. 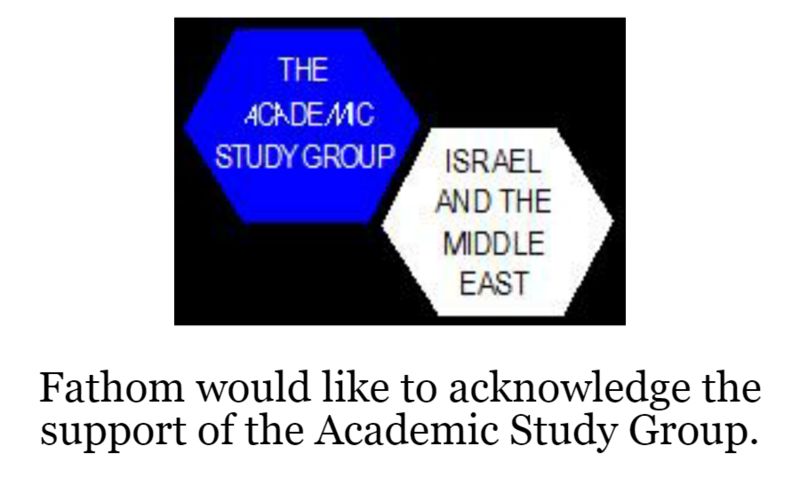 Academia has been successfully seduced by anti-Zionist and often antisemitic lecturers and even university faculties. These have accepted large grants or donations from Saudi Arabia, the Gulf States and some wealthy individuals with an axe to grind, of whom Soros and the New Israel Foundation are the most prominent. The extent to which under-graduates and research assistants have been corrupted was an eye- opener for me when I revisited my Oxford alma mater and saw what had been achieved by the inculcation of hatred disguised as liberalism. 3. The false idol of a ‘Two State Solution’ has still not been exposed as fatuous, and an actual barrier to peace in the Middle East. 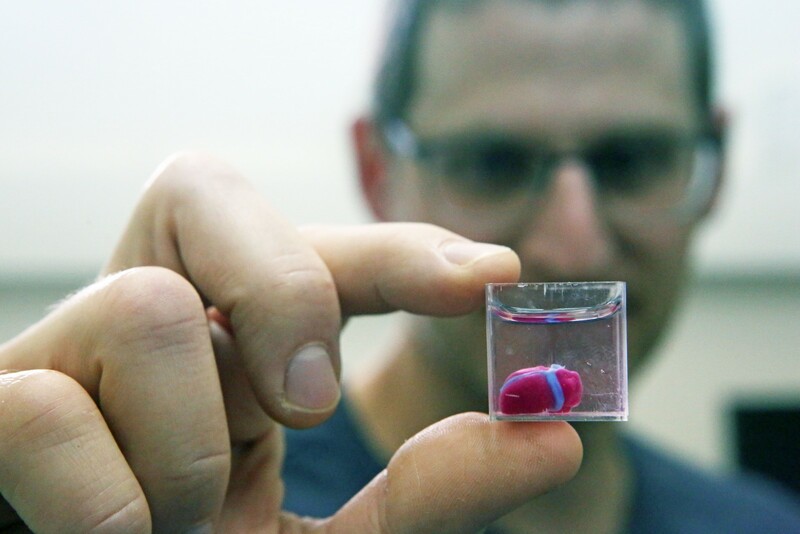 For this, P.M. Netanyahu must take some blame. He unwisely paid it lip service when President Obama was insisting on nothing less, when he should, of course, have added a number of provisos – including the emergence of a popular political leader of the Palestinians who recognises the legitimacy of a Jewish state of Israel, and who undertakes to seek partnership with it to achieve something comparable in predominantly Moslem Palestine. I have no objection to my name and/or e-address being made known. Both British Jews and U.S. are becoming increasingly anti Israel repeating the mistake of the Jews in Europe prior to and during the reign of Adolf Hitler. I am forced to conclude that most Jews who are not in Israel (which includes me) are just plain stupid. Here in the U.S. they vote for Communism. They oppose Trump. It is kind of a Stockholm Syndrome but also related to just being plain stupid.